A year or so ago I wanted a way to tote my miter gauge to/from WoodCraft to use in the classes I teach so I built this carrying case. A Tool Coffin, if you will. 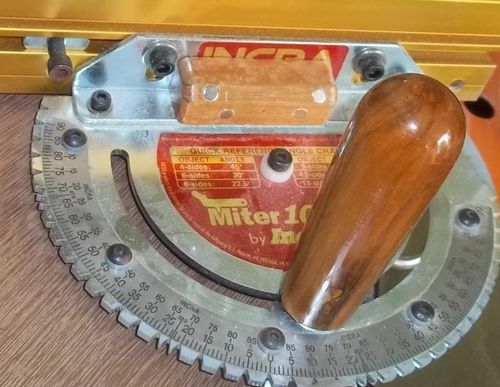 On my miter gauge, I replaced the handle with one of more significance. Pic 4 & 5 show it. Here's another one I upgraded. I am a true believer in making your tools work better for you. If that means replacing a handle, the so be it. If that means drilling a hole in the top of your tablesaw, then so be it. 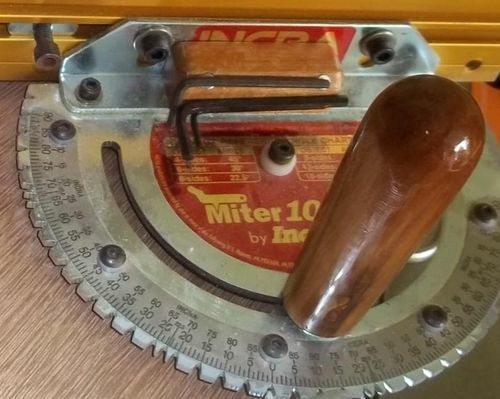 I have no idea what wood the handle is. It was from the bargain bin at WC. The coffin was built from Luan. The gussets on the inside really make a difference in adding strength. Not so pretty to look at, but very functional. I am pleased with it. Nice one and I like the humor. If you showed up at my shop toting a “tool coffin”, I think I would stand back and let you have the floor. Looking Good Rance! Looking good! I happen to have a fondness for coffins! Well and the Macabre! I like Guitar cases made and coffins and such! I have seen pistol cases shaped like coffins. Not sure that’s a good idea, but this one is great. Great storage box, Rance. Paul beat me to the line I was going to use!! That is sweet. Abby would love it!! Great ideas. The “coffin” is very nicely done, but the handle and hex key holder are something I could use. Well done and thanks for sharing. Apologies for this double post—all I can say is I wish I knew how to use this damn iPad. So, uh, do you mind if I steal your idea for my Incra gauge? “To Die For”, “Tool Heaven”, those are funny. I like to add a little funny to my projects and my woodworking. Thanks guys. Brad, go ahead, that’s one of the reasons I post things like this. Oh, and also to keep Rod in check. Oh, the handle has a CA finish. Another point to note would be when lightening a box like this, alternating solid wood and thin plywood works well. Ya just can’t join corners like this with just the thin plywood alone. For less weight, make the shorter sides from the solid wood. Nice tote ! Maybe it could be reconfigured inside for the descrete hitman who likes to look after his equipment. Given the coffin shape, there could be repeat sales here . . . I thought you where showing us an early Halloween prop . Yes that does get attention anywhere. I miter known you’d put this one up. Another fun project well executed and laid to rest. Now git all the other great stuff up here for the folks to see! You’re hiddin’ that creativity and talent under a basket!